This summer you’ll find even more Live Casino games online in the state of New Jersey! 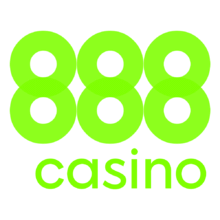 Indeed, 888 Casino just announced they inked a deal with the award-winning European live dealer games distributor Evolution Gaming. If you’re new to online casinos, there’s a good chance you’re unfamiliar with live table games. Because let’s be frank, when first joining a casino most newcomers a mainly drawn to slots. But Live table games are fun too! Indeed, know that they give you the chance to make the most out of your casino session because table games offer better RTP then many slots! What’s more is that a real croupier runs the table just like at your local casino. And you can follow the action via live stream and chat with the dealers and other players just like in a brick and mortar casino. 888 and Evolution a long and successful partnership! In Europe, Live Casino Games have been around for close to a decade. And they’re trendy because of the streams stability. But also because the technology that powers these games evolves quickly and always meets the demands of players. Without a doubt, Evolution Gaming is one of the big names of the Live Dealers industry. They’ve also been responsible for making the Live Games evolve. And their long list of clients an awards prove how good their products are. And even more so now that 888 announce they’re extending their 10-years ongoing partnership with Evolution to cater for the US demands. What types of Live Games can you play online? For now, there’s a couple of casinos that offer Live Games in NJ including the Golden Nugget, the Borgata, and Betfair to name a few. Overall, the Live games offered on these sites are mainly Roulette, Blackjack, and Baccarat. But in the coming weeks, you’ll have even more choices since Evolution Gaming is famous for its Immersive Roulette, Automated Slingshot Roulette, Three Card Poker, and Ultimate Texas Hold’em Poker. Evolution’s excellent software is perfect for the New Jersey online gaming market, experts say. So make sure to visit 888 Casino to try Evolution’s game once they go live!